A complete line of the latest and most fashionable designs of swimming pool and spa tiles. We stock a range of mosaic tiles to make your swimming pool look stylish and modern. Swimming pool tiles, are hard-fired with a shiny glaze finish available in an array of colors and designs. They provide a more contemporary look for your pool or spa. These products are available in elegant patterns and attractive designs. The texture of these products is very smooth and lustrous. Excellent finishing and optimum strength are some of the main specifications of these products. 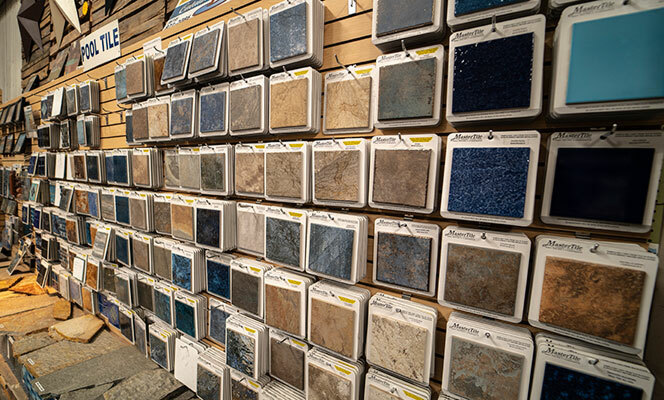 We have over 2,000 of showroom, with thousands of Tile choices to choose from. Natural Stone, Porcelain Tile, Ceramic Tile, and Pool Tile. Along with many different patterns of tile installed on the floor for you to look at and decide what will look best in your home. All the colors, shapes and sizes you can think of. Outdoor pools need to sit comfortably in their landscape with attention to their natural and manmade surroundings. How the pool connects to the house and to its adjoining leisure area is vital to ensure a successful project. Indoor pools bring their own challenges. Ensuring that combinations of surface finishes in mixtures of natural and artificial light work together harmoniously can be a real challenge. We have the products and expertise to provide the perfect solution. Our swimming pool tiles are hard-fired with a shiny glaze finish available in an array of colors and designs. 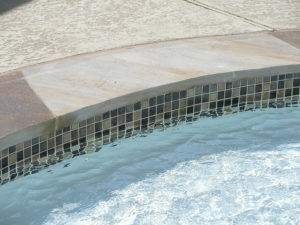 They are best suited to provide a more contemporary look for your outdoor/indoor pool or spa.